When creating the detail view component for the genres and albums, we want the URL to be pretty and SEO friendly. So an id in the URL will not suffice. Sitecore already has some base functionalities, like the creation of wildcard pages. The item name of these pages must be '*' and must be the first item of that level. Once you open a page on that site level, it either searches for a specified item with that page name or otherwise opens the wildcard page. First thing we need, is to create UrlProviders which will take care of finding the item which is mentioned in the URL. The GetCurrentGenre method, first checks if the genre id is specified in the request parameters. If this isn't the case it takes the last segment of the URL and gets the genre by that display name. Next up is creating the components. These components are fairly simple. The request the current item from the UrlProvider and returns it to the view. These components should be created in the StoreController. The Details method is used for the album details page, while the Browse method is used by the genre detail page. 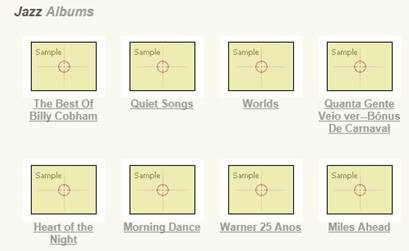 As you can see, before the current genre is returned to the view it also fills the albums list with related albums from that genre using the AlbumService. As you can see the Details view already contains an action link to a method and controller which we did not create yet. This will be added in the next part of this series and will eventually add the current album to the cart. Next thing we should obviously do, is create the renderings in Sitecore. And finally create the detail page for both the album details(under /Home/Store/Details/*) and the genre details(under /Home/Store/Browse/*) and add the newly created renderings in the 'main' placeholder.